Welcome Kayla,Vice-President of the Hope and Friendship MBC Foundation. The Hope and Friendship MBCF would like to welcome Kayla as Vice-President! She is very excited to begin this new opportunity! You can read more about her on our Board of Directors page. Look Good Feel Better comes to Support Group! Support group facilitator Marie organized the Look Good Feel Better Program, sponsored by the American Cancer Society, to meet with members June 11, 2014. This program provided support group members with personal makeup kits, individualized instruction for application, and help with wigs and scarves for those challenged by hair loss. The Hope and Friendship MBC Foundation provided lunch from the Boston Chowder Company in North Andover. Looking beautiful and feeling better, support group members enjoyed lunch and were ready to face the day! Many thanks to our support group facilitator, Marie, for our wonderful first retreat. The theme was, “5 Wishes”. Nine support group members enjoyed a hand-picked organic smoothie for breakfast, worked on 3 wishes, had massage, reflexology, Reiki, had a lovely organic lunch overlooking Great Pond, and then completed 2 more wishes. Thank you, Marie! Many Thanks for Andy’s Run for Hope and Friendship in the 2014 Boston Marathon! Andy receives award from the Hope and Friendship Metastatic Breast Cancer Foundation in honor of his 2014 Boston Marathon run dedicated to the foundation. Andy achieved his marathon goal this year! The pledges for Andy’s run helped many projects move forward including: the Five Wishes retreat for support group members at the Rolling Ridge in North Andover, MA; offering acupuncture, reflexology and massage therapies for support group members; and scholarships for support group members to attend conferences to help manage their diseases. Pictured with Andy (L to R): Board Members Heather and Tony, Judy, Kayla, Bev and Ashley. This awesome conference gave us inspiration, hope and education about how to maintain our healthiest bodies to keep our cancer as quiet as possible. It is highly recommended and filled with a slew of experts in the field of “if your body is healthy and strong, it will be as capable of keeping you alive as long as possible”. This is our community goal and our scholarships make attendance at these events possible for us. Hope and Friendship Metastatic Breast Cancer Support Group Meeting in North Andover, MA! Art and meditation were the focus this week at the Hope and Friendship Stage IV Metastatic Breast Cancer Support Group meeting in North Andover. Arranged by group facilitator, Marie, the meditation and cooperative circle painting therapy was a big hit with members. Thanks to everyone for such a great time! The 7th Annual Metastatic Breast Cancer Network Conference in Houston, TX, September 20th, 2013! There were 225 women and men from all over the country with Stage IV Metastatic Breast Cancer at the conference. There were lots of opportunities for networking, learning about new research and upcoming treatments for the disease from medical leaders in the field, and an overwhelming sense of community. 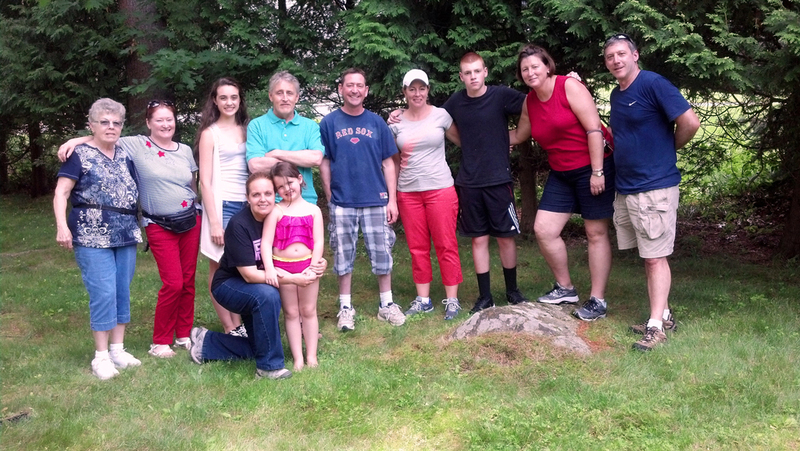 The first fundraiser for the foundation was a 23-family yard sale held June 29, 2013. With so many participants and customers, it was a great success! Thanks to all who helped out in every way imaginable.